When’s the Last Time You Visited Your Weatherford Dentist? Each and every person deserves to enjoy a smile that looks great and functions properly. It’s normal to think that maintaining great teeth and gums is as easy as brushing twice a day and flossing, but a lot of patients don’t think visiting their Weatherford dentist every six months is just as important. 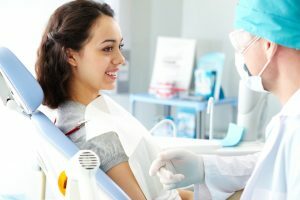 Unfortunately, a lot of patients tend to skip their dental appointments for various reasons—whether they simply don’t have the time or they just don’t feel like making the trip. Cosmetic and Family Dentistry of Weatherford strongly advises against missing your regular dental visits for the betterment of your health. Those that have in the past are still more than welcome to get the dental care they need in our office. We’re excited to help patients passionate about their health care turn around their dental health for the better. If you’ve missed your appointments with your dentist in Vienna, it’s not too late to get the dental care you need and deserve! A complete diagnostic—Our dentists use two types of advanced digital x-rays and intraoral photography in order to give patients the best view of their internal and external oral structures. This is crucial to patient’s preventive care because we can spot issues that may not be visible with our regular eyesight. A comprehensive examination—Our dentists examine every detail about each patient’s mouth looking for signs of oral health issues. We can spot health issues like decay, gum disease, TMJ dysfunction, teeth grinding, and oral cancer in its early stages and start the best treatment to get your oral health back on track. A professional cleaning—Our hygienists and dentists will systematically remove plaque and bacteria from hard to reach spots in your mouth. Even with an excellent oral health routine at home, it is important to have your dentist professionally clean the areas that you may have accidentally missed. A customized plan for treatment—Our dentists will take the time to discuss the results of their dental checkup with them. We can answer any questions you may have and develop a plan for further treatment if needed. When’s the last time you made a dental appointment? Advanced gum disease is the leading cause of tooth loss for American adults. Oral cancer causes more than 7,500 deaths each year! If noticed and treated early, these diseases have very high retention rates, but since a lot of patients don’t seek dental care until there are severe dental issues in place they end up suffering from easily preventable symptoms. By keeping an eye out for dental issues every six months, we can often reduce your potential for severe health problems. A lot of the time, your dentist can spot overall health issues like diabetes or heart disease just by the shape of your teeth and gums. Be proactive! Practice good preventive care by scheduling a checkup with either Dr. Romack or Dr. Mulkey today. by: Dr. Deborah Romack at April 11, 2017 . Comments Off on When’s the Last Time You Visited Your Weatherford Dentist?